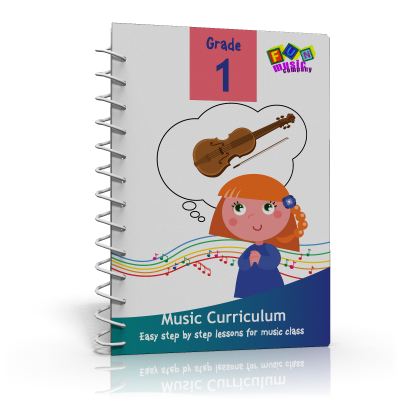 A curriculum for the first year of school with lots of singing, playing and exploring musical sounds. 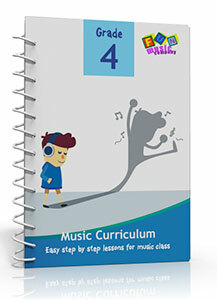 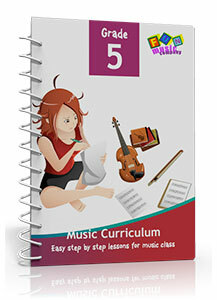 A curriculum for first grade students with lots of exciting music lessons! 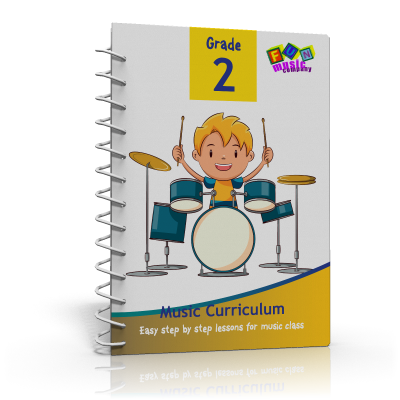 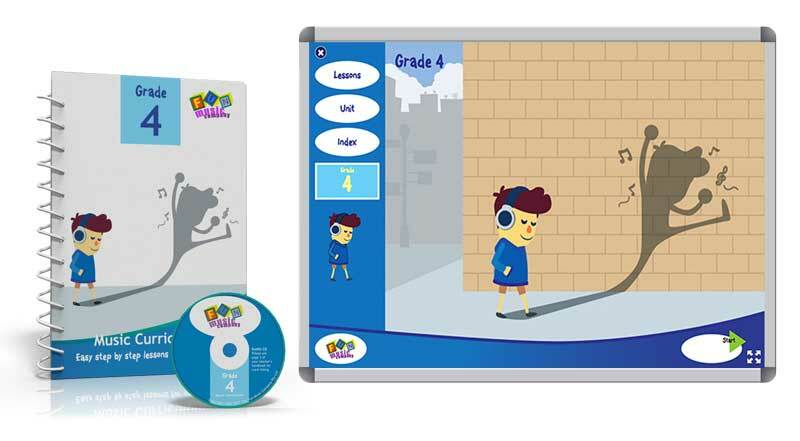 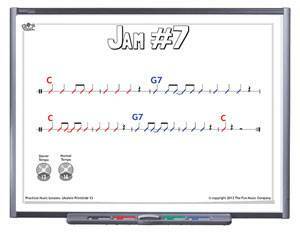 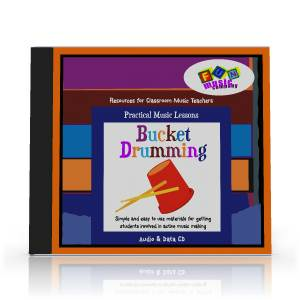 A fun music curriculum for second grade to really engage young learners! 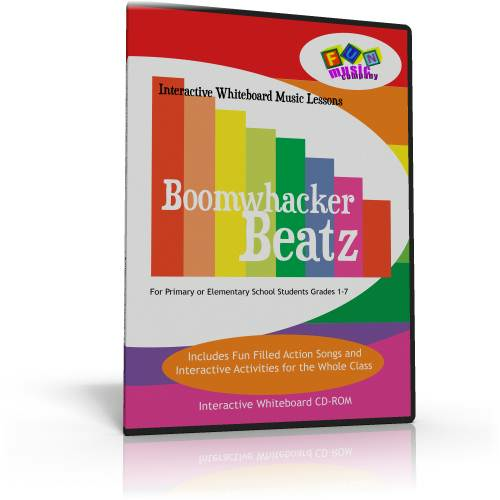 Ideas for using Boomwhacker® pitched percussion tubes in the Music Classroom – including Animated warmup tunes, performance pieces, composition activities and games. 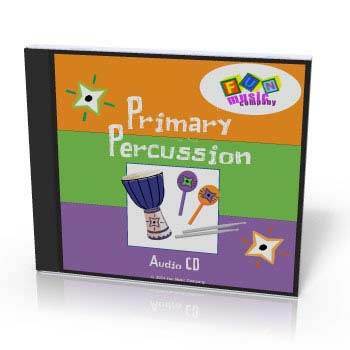 Lots of fun ideas for using percussion instruments in the classroom, including Rhythm Grooves, simple scores to read and arrangements. 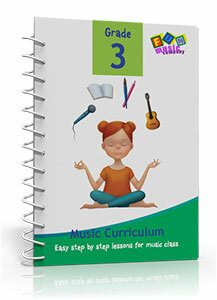 Easy to use materials to get practical activities happening in upper primary/elementary or middle school music classes. 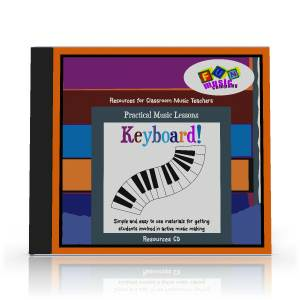 Includes printable printslides – large enough for the whole class to see, plus workbooks where appropriate and powerpoint scores for displaying on a whiteboard. 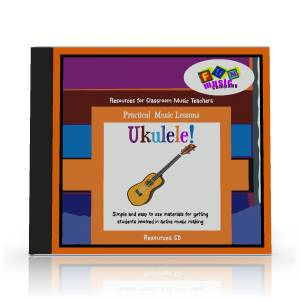 A complete Curriculum for beginning Ukulele in the music classroom. 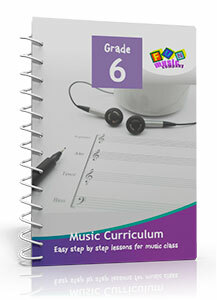 Helps develop the first three chords in a logical progression. 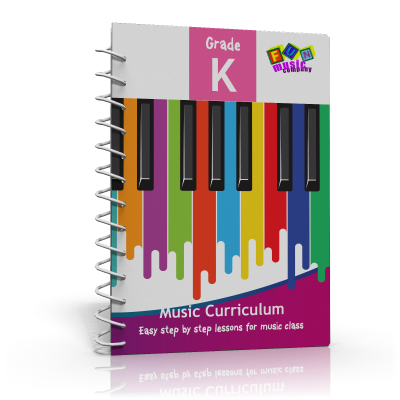 Want to do something different… and you don’t have a lot of money for instruments? 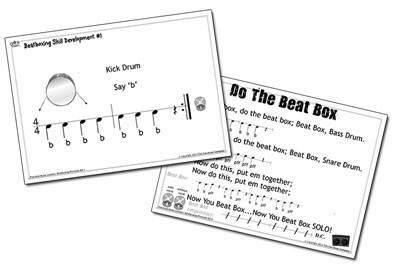 Give these fun bucket beats a try! 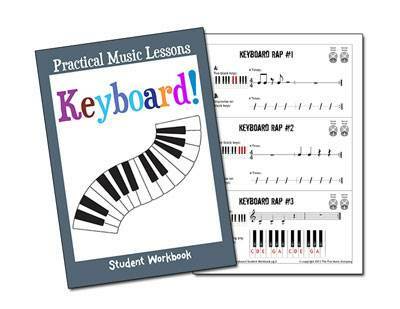 A fun program that anyone can use if they have a class of varying ability levels in a keyboard laboratory. 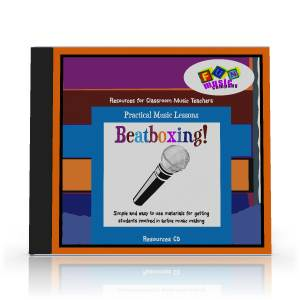 A fun program designed to get kids to use their voices – an easy introduction to beatboxing for anyone!